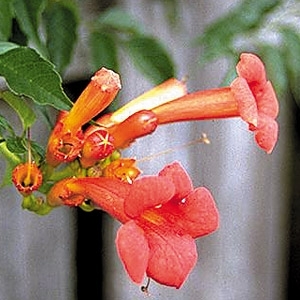 Trumpet Creeper is best known for its magnificent flowers. These bright red blossoms grow up to three inches long. Blooms from June to September.